​A wired alarm control panel is a hardwired system that serves as the centerpiece of a security setup. They are commonly used by both homes and businesses as an effective means of providing security and protection. 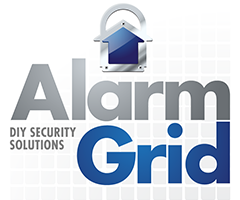 If you need a new wired alarm control panel, check out the great Alarm Grid selection. Wired alarm control panels are designed to serve as central hubs for a security setup inside a home or business. All of the security devices that are used with the setup will go through the alarm control panel, and the wired alarm control panel will be responsible for sending any outbound signals to the user or to the central station. This makes the alarm control panel arguably the most important component of any security setup. There are certain advantages that wired alarm control panels can provide over wireless systems. Some people believe that they are more secure, due to the fact that there are no wireless signals to interfere with. The equipment is also easy to maintain, since there are no batteries that will need to be replaced. Wired systems are also capable of spanning across very large areas, and many wired systems will operate different partitions across multiple buildings. Although a wired alarm control panels is essentially the centerpiece of a security setup, the system will need certain add-ons in order to be controlled and operated and to perform the desired functions. Perhaps the most important is keypad that will allow a user to arm and disarm their panel and to perform programming changes. Not only will a keypad provide an access point for the system, many keypads can also perform secondary functions that will benefit the overall setup. For example, the 6160RF is a popular keypad for wired alarm control panels since it also serves as a wireless receiver in order to allow wireless devices to be used with the setup. Once you have the wired alarm control panel and a keypad to control it, you will want to get the system on the network. This is done using an IP or a cellular connection. An end user will need to install a WIFI card or a cellular card with their wired alarm control panel to gain this type of capability. Many wired alarm control panels use a dual path communication setup that utilizes both WIFI and cellular connectivity to ensure a reliable connection and top-quality performance. Our support team will help any monitored customer with getting their wired alarm control panel online and fully connected with an interactive service like Total Connect or Alarm.com. Of course, a wired control panel will also need added security and life-safety devices to perform useful functions and to ensure the protection of the home or business. Some of these devices include motion sensors, door and window contacts, glass break detectors, smoke and heat detectors and carbon monoxide detectors. These devices connect to zones on the system, and whenever a device is activated, a fault will be displayed to that particular zone. This will quickly alert the user to the problem that has occurred so that they can deal with the situation. These zones can also be set up to immediately contact a central monitoring station upon activation so that the appropriate emergency personnel can be quickly sent out to the location. What is the difference between Arm Stay & Arm Away?